We're including you in the celebration! I know that so many of you have made a lot of wonderful friends through blogging. This is your chance to tell the blogosphere all about your friends and why they're special or what's unique about bloggy friends or why you connected so well, etc. Kim and I will be talking about our bloggy friendship next Thursday. Then on Friday, she'll have Friday Funnies as usual and I'll have Chocolate Friday as usual, but we'll include some friendship fun! The best part will be on Saturday, 6/27 - when you get to link up your friendship posts! 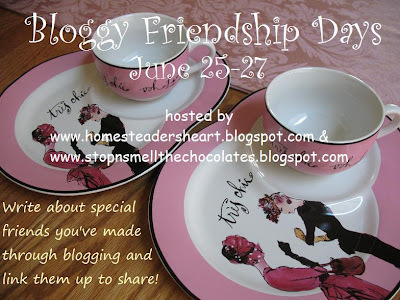 Write and post about your bloggy friendships and then link them up that day - at BOTH of our blogs! You get 2 links for the price of 1 - LOL! I really hope you'll join us! Feel free to spread the word and grab the picture if you like! 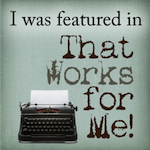 This post is being linked to Your Life, Your Blog at Real Life! 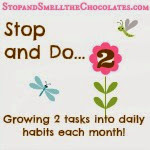 Link up your own post from the previous week to share! Gee I can see that jojo there really cared a lick about what you wrote! Okay I need to put this at the top of my posts for the rest of the week! I'll do that now. This is going to be fun! Thanks for getting it rolling, this week has been crazy!! Big we've never met but I love you like a sister size hugs to you! This is a brilliant idea! Clapping at your genius! That's such a sweet idea for a blog carnival! Cute idea! And your blog looks great. Great idea, I know I met many friends on blogs, Sarah is my fav since I love her wrting. Thanks for your comment on my interview with her. What a lovely idea! I met Kim through Deborah and she is such a sweet sweet bloggy friend....this will for sure be something fun that we all can share!!! This is such a great idea! I will be on vaca soon, but maybe I can fit a post in. Have a great weekend! What a GREAT idea! (I love the dishware in the pic, too!) A fantastic way to share online friendships! Oh, what an amazing idea! 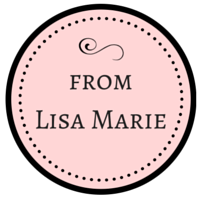 I have some amazing bloggy friends, including you!! !